Those of you who have read my earlier articles will know that in recent years I've done most of my gaming in 15mm scale as I simply enjoy doing large battles. This hasn't always been the case though and a lot of my figure collection is in 28mm. While you can still do large battles in the bigger scale it's also perfect for skirmish games. Skirmish gaming is the best way to try out a new period or genre as it needs only a few figures and therefore a small financial outlay in order to get started. 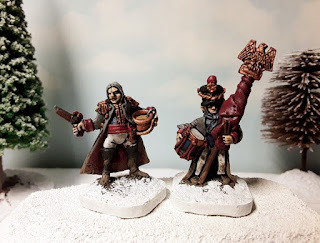 You can quickly paint up a few miniatures and you're ready to go, or simply buy them pre-painted from the kind people at Alternative Armies who will happily do this for you! Painting figures is my favourite part of the hobby as I find it relaxing after a day at work. The small number of figures required for skirmish games lets you add additional levels of detail to figures if you wish and also allows for greater investment in the character of individual leaders or even specific soldiers. 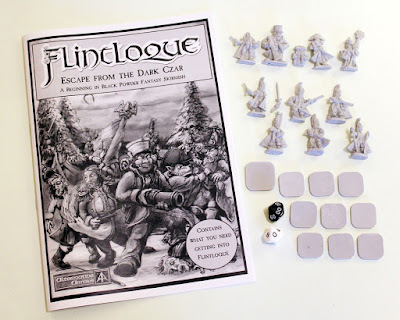 As I enjoy historical and fantasy gaming equally, Flintloque has always been on my radar and as 15mmcouk has now merged back into the Alternative Armies site I felt that the Universe was telling me that the time was right. I've not been disappointed! The first thing that struck me was the sheer size of the game setting.The world of Valon is huge with a large number of nations and races to choose from. Some are your standard fantasy races such as Elves or Orcs but with a twist, while others are much more unusual such as Rabbitmen or Dogmen. 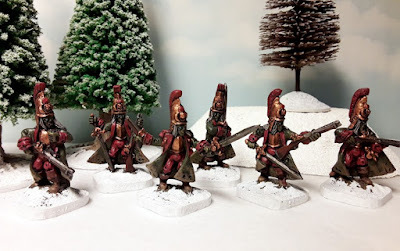 This provides some very interesting painting opportunities which when combined with the semi-historical Napoleonique uniforms is simply superb. 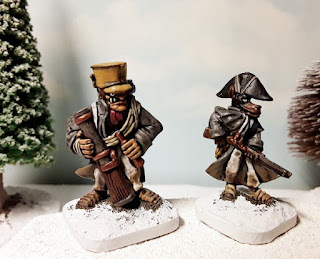 Like most skirmish games Flintloque is perfect for small scenario driven games and the rich background gives a massive amount of inspiration. These can easily be linked into campaigns if you wish which gives you the opportunity to follow the fortunes of particular characters and their gallant (or not so gallant) followers. I therefore had a big decision as to where to start. After a long look through the fantastic ranges I was drawn to the new 'Escape from the Dark Czar' starter set. This is amazingly good value as for only 20.00GBP you get ten lovely miniatures in resin, the Flintloque Lite rulebook and you even get a set of dice. As I mentioned earlier painting figures is the main part of the hobby for me, but if this isn't your thing then Alternative Armies will supply a set with painted figures for only 40.00GBP! Joking apart the Witchlands is a brilliant setting and as I've also never got round to building and collecting snowy terrain then this was appealing too. Good scenery to fight over is a great visual boost to any game and often drives the scenario. The final draw was the Ferach army itself as it consists of so many nations and such a diversity of troops. There are special Witchlands versions of many of them, all wrapped up against the cold which makes the miniatures in scenarios very characterful and unique. I particularly like the special Witchlands Ferach Elf units and the Witchlands Dogmen so these will soon find their way into my collection. So,what did I put in my first order. 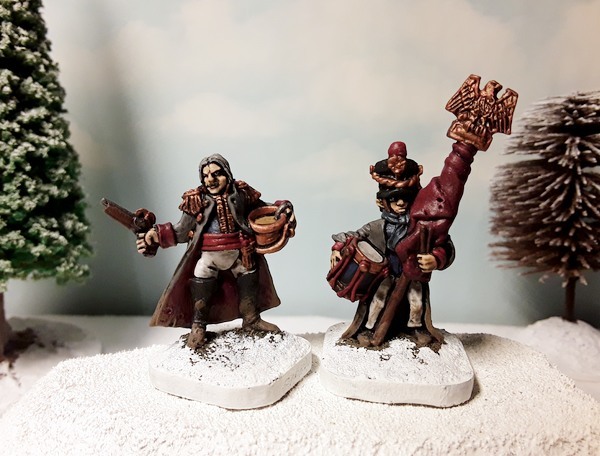 Obviously the 'Escape from the Dark Czar' starter set went straight into my shopping cart, closely followed by a couple of Witchlands Dogmen figures from pack 56594, and then pack 55009 consisting of four zombie cossacks on foot. While this was only a small order I wanted to try the game out before deciding on the composition of any larger forces. Once my order arrives I plan to let you know how I get on and where I go from there. HOF111 Scrofa AFV 15mm vehicle released! 59524 Abandoned Provisions Wagon released!